We are a young emerging ministry with the aspiration of the Gospel of the Kingdom of God at the very forefront of our thinking and in our hearts. Many challenges face anyone that wants to spread the Gospel and we are no different in that respect. The very nature and emphasis of this ministry brings it to the attention and radar of the kingdom of darkness. The kingdom of darkness will be doing everything possible in their power to cause this ministry to fail; but with the grace of God and your prayer support we will thrive and succeed where others have tried and failed. While we believe in the Word and authority of God, we don’t want to be ever complacent as we know that many Christian ministries began their journey with good and honest intent; but are sadly no more today due to the onslaught of the kingdom of darkness waged against them. We do not want to be added to the casualty list of Christian ministries that the Devil and his wicked kingdom has either destroyed or shut down permanently. Pray that the hand of God will prevail against the hands of the wicked outstretched towards and against Prayer Deliverance Ministries. Pray that every wicked counsel taken against the vision and mission of Prayer Deliverance Ministries in the kingdom of darkness by evil and wicked spirit entities be brought to nought. Pray that any agents of the kingdom of darkness sent to tempt, destroy or bring confusion into Prayer Deliverance Ministries be consumed by the holy fire of God. Pray that anyone using witchcraft spirit, new age spirit, occultic spirit or demonic power to frustrate Prayer Deliverance Ministries be visited and devoured by the holy fire of God. Pray that anyone who comes to Prayer Deliverance Ministries for help with overcome spiritual attacks receives deliverance from God; and their seemingly impossible situation become possible because of the LORD Jesus Christ. 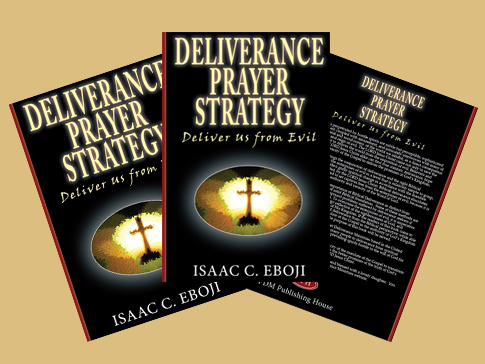 Pray that every effort both spiritual and physical to hinder effective ministry, evangelism and prayer at Prayer Deliverance Ministries be subdued by the very presence of God. Pray that God will open doors to Prayer Deliverance Ministries for the Gospel message of His Kingdom to prosper where it is preached, taught and demonstrated. Pray that God will send more labourers to help Prayer Deliverance Ministries harvest and deliver souls into His Kingdom. Pray that the power of God will be present at all times to deliver, heal and save all who come to Prayer Deliverance Ministries. Pray that God will provide spiritually, physically, emotionally and financially for Prayer Deliverance Ministries to fulfil His Kingdom purpose.